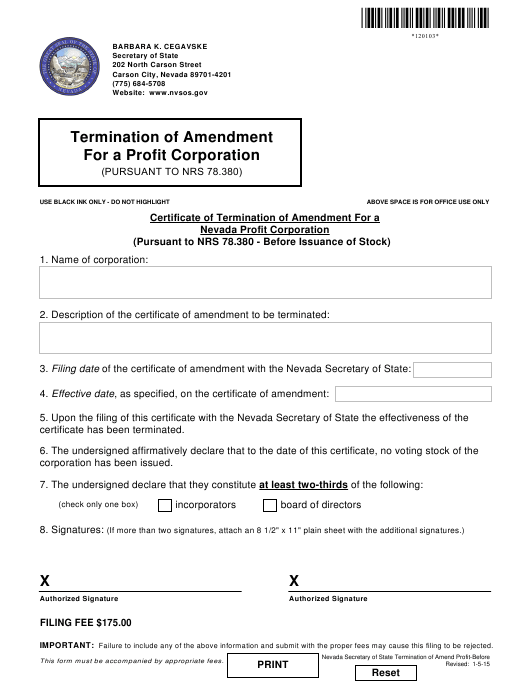 Form 120103 is a Nevada Secretary of State form also known as the "Certificate Of Termination Of Amendment For A Nevada Profit Corporation". The latest edition of the form was released in January 5, 2015 and is available for digital filing. Download a PDF version of the Form 120103 down below or find it on Nevada Secretary of State Forms website.